Thérèse de DILLMONT (Theresa Maria Josefa DILLMANN VON DILLMONT), was born in Austria in 1846 .Her father was a member of the lesser nobility at Kranstadt in Siebenburgen, Transilvania and a teatcher of military architecture at the Neustadt military academy. In 1864 her mother asked the Emperor Franz Joseph to help the education of his daughter who was to become a teacher . Franz Joseph I approve the petition by signing it, but we do not know where Therese studied. She probably attended a private school where women's work needle were among the most important subjects . 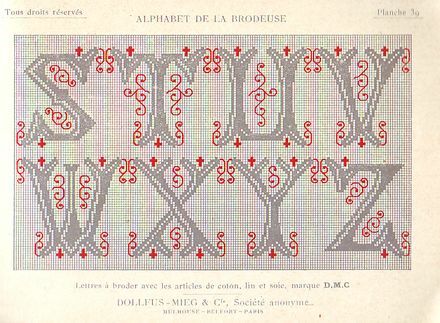 In Vienna Therese was a contemporary of Emilie Bach (1840-1890) , author of books on the needle- work, Tina Frauberger and Luise Schinnerer who studied Coptic textiles . 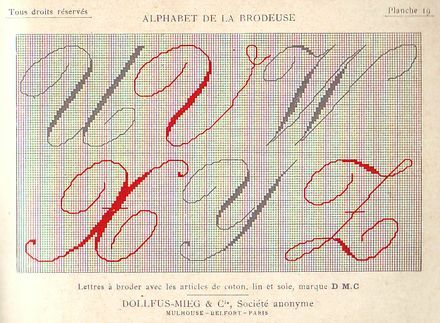 In 1886 she moved to Alsace ( France) where she founded a school of embroidery with the help of Jean Dolfus (DMC). She wrote many books published by Bibliotheque DMC . 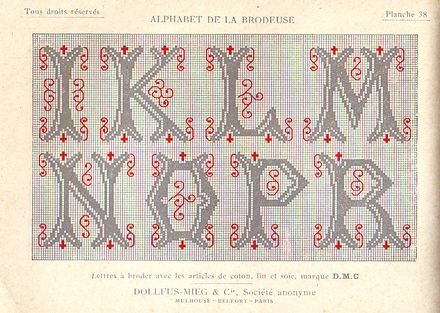 Among his first attempts at writing, there are a number of albums that provide designs for the most popular types of needle work and how to execute them . Among these there were two of particular interest: "Ouvrages de nouveaux style acien", written by Emilie Bach (director of the Royal School), that was reviewed by Therese de Dillmont . 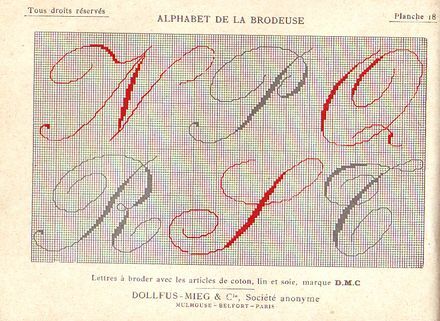 "Motifs de broderie copte", written by Therese de Dillmont reveals its proximity to the textile research that took place in Vienna as well as the popular interest in this type of embroidery. 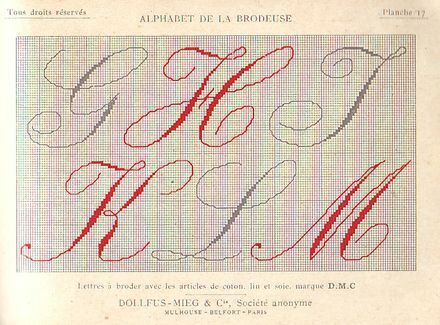 letters and monograms to be embroidered with DMC threads.